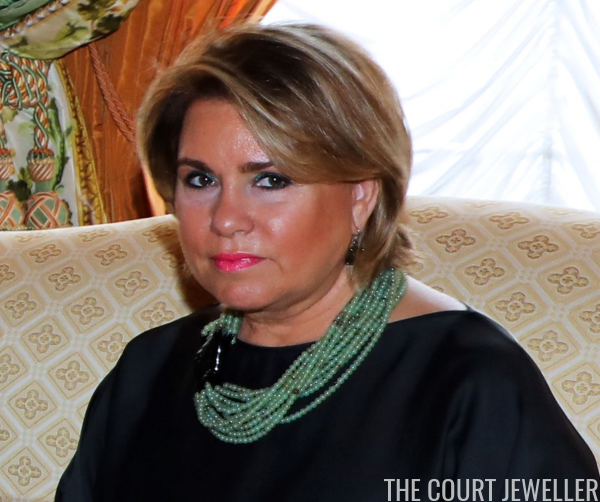 With her all-black ensemble, Maria Teresa chose to wear a necklace of many strands of twisted green beads. 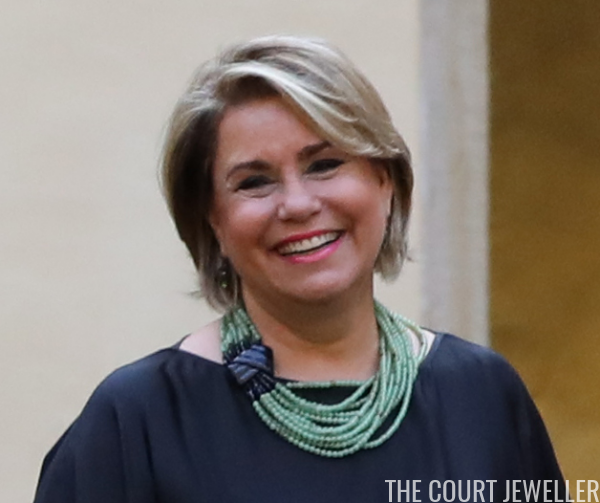 The necklace was gathered on one side by a black clasp in a modern design. 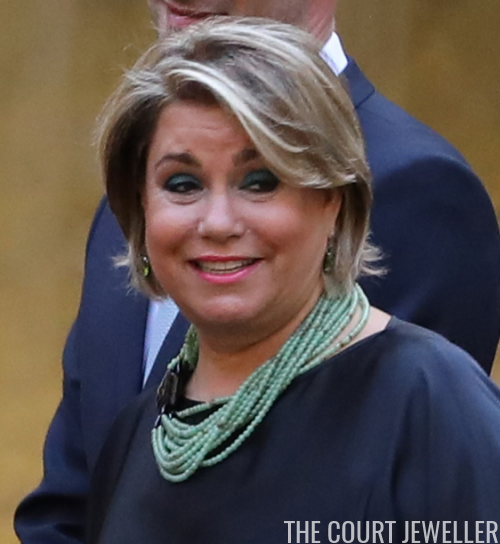 In some images, this part of the necklace looks a bit like leather. Here's another angle on the piece. 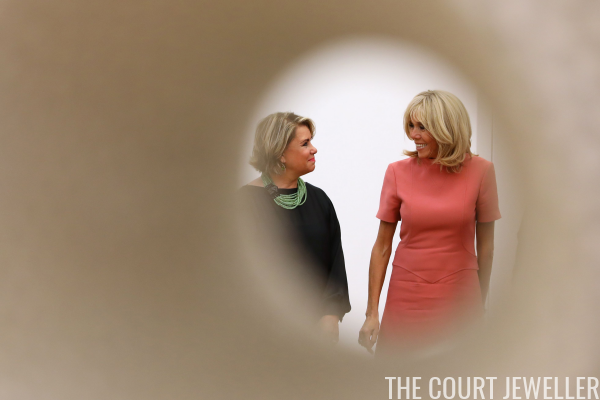 Maria Teresa played host to the other spouses of the presidents and prime ministers in attendance at the meeting. 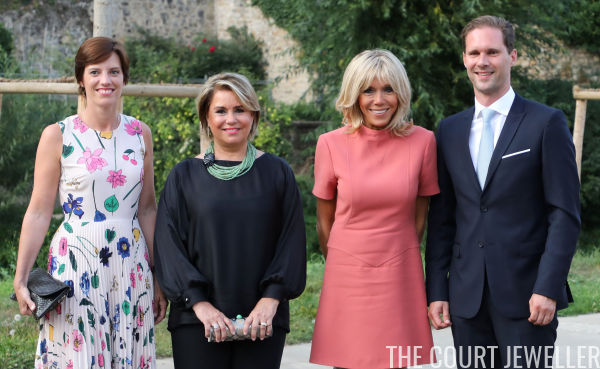 Here, she poses alongside Amelie Derbaudrenghien, the partner of the Belgian prime minster; Brigitte Macron, the wife of the French president; and Gauthier Destenay, the husband of the Luxembourgish prime minster.